I have a love-hate relationship with greens; I love them because they're incredible for my body and are full of so many vitamins and minerals but I hate them because, well, I really don't like the taste of them. Unless you're giving me spinach in a sandwich with avocado or hummus, I'm really not interested. Actually, I lie - pesto pasta with spinach is pretty damn tasty too. But what I'm trying to say is that you won't catch me eating a spinach or kale salad anytime soon. I'm a firm believer that a healthy lifestyle should be enjoyable and sustainable so I'm not going to force down something I don't like, even if it is amazing for me! So that's where green smoothies come in. Spinach has a wonderful way of not being detectable once it's blended with fruit and various other tasty ingredients, so you get to enjoy all the benefits of it without actually being able to taste it. Win-win, right? 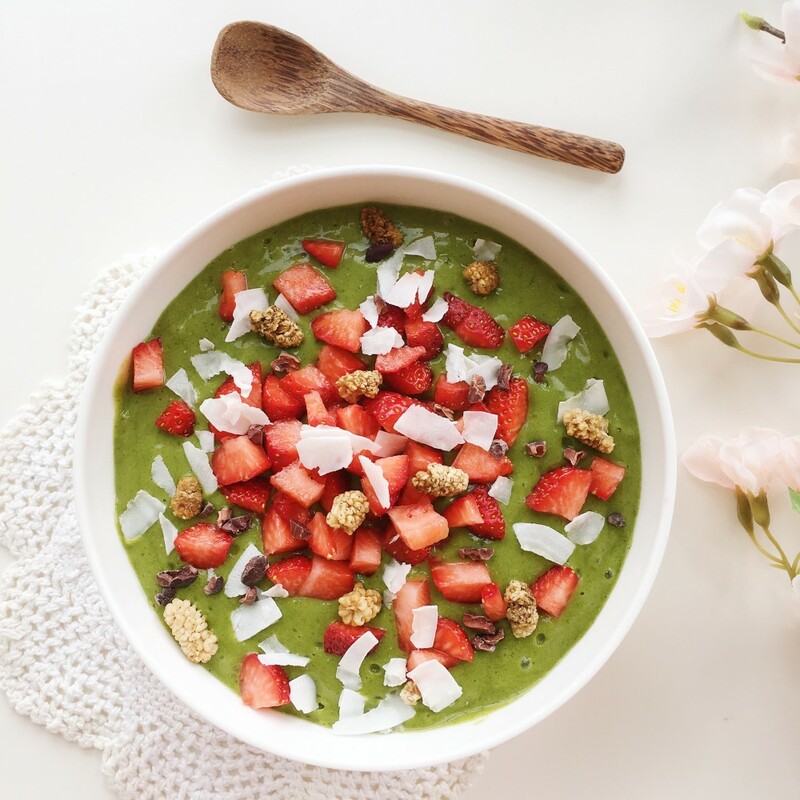 This smoothie bowl is quite sweet so it's the perfect introduction to green smoothies, but you can always increase the amount of spinach if you feel happy doing so. To take this smoothie to the next level I added some vegan vanilla protein powder but that's completely optional. Place all the ingredients into a blender and blend until smooth. Pour into a bowl and top with whatever you like!